Say goodbye to energy inefficient, single purpose light bulbs and welcome the SmartFX light bulb into your life. 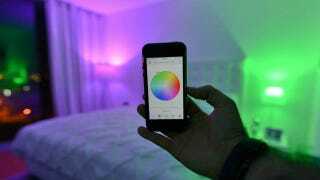 Save $20 on the SmartFX and enjoy this LED Bluetooth enabled bulb that allows you to control color changes and dimming from your phone. Get it for $40 now and save 33%. The SmartFX bulb not only makes your home more energy efficient while giving you way more lighting options than any standard bulb could, it will also help you reduce your energy bill. Save $20 on the bulb now and save on your electric bill later. Shipping is free on orders of $75+, and $5 otherwise. Check out Shop to learn about more of our Promotions Partners and their products and services.